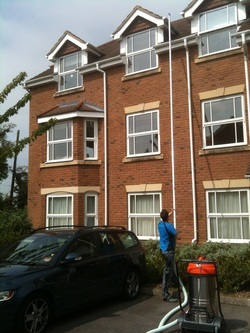 Andover Gutter Cleaning is based in Andover, Hampshire and we have been cleaning guttering and windows since 2004 and are proud of the reputation we have created and maintained! Pricing starts from as little as £45.00 so please contact us today to get a free quote & site visit! We are proud to announce, that as of October 2016 we became members of Checkatrade.com.....please take a moment of your time to what our customers are saying about us!